A Labour Force Survey was conducted in October 2014. It is standard practice in census and surveys to provide preliminary results and then at a subsequent date provide finalized results. At the time of the 2015 Budget in November 2014, preliminary results were shared including an unemployment rate of 29.5%. Follows are the finalized results. 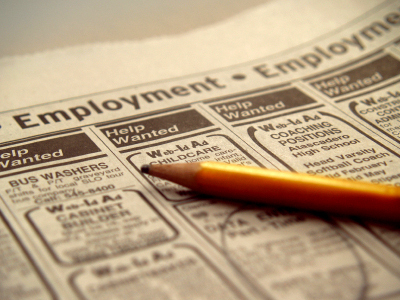 Unemployment rate as of October 2014 is 28.9 percent. Finalised results of the Labour Force Survey 2014 reveal that the unemployment rate in October 2014 was 28.9% which represents a decline of 3.6 percentage points from that of 2013 (32.5%). The total number of unemployed persons fell from 17,975 in 2013 to 16,689 in 2014 representing a decrease in the total number of unemployed persons of 1,286. A person ceases to be unemployed if he/she finds a job, becomes economically inactive (he/she leaves the labour force) or migrates to another country. Between 2013 and 2014, the number of employed persons increased by 3,681 from 37,365 to 41,046. Notably, the unemployment rate fell from 32.5% to 28.9%. The wholesale and retail sector still remains the most dominant sector with respect to employment. The share of the Central Government employees among the employed has increased from 19.1% in 2013 to 24.4% due to the Imani Programme. Respondents of this Survey were selected based on a stratified random sampling methodology using the 2011 population and Housing Census as the sample frame. The data were weighted to represent the population resulting in a population estimate of 109,597 in 2014. Working Age Population: Defined as the resident population 15 years old and over covered in the Survey. Included are persons who normally reside in private, non-institutional households on the island. Excluded would be tourists and visitors to the island. Employed Labour Force: According to the 1982 international definition of employment (ILO, 1983 b) the Employed Labour Force is comprised of all persons above the age specified for measuring the economically active population [in the OECS, that age is 15 years and over] who during a specified brief period, known as the reference period (one week in the case of OECS), performed a minimum of one hour’s work for pay or profit. These employed persons can be government or private employees who receive monthly/weekly wages/salaries; or employers or self-employed persons who realize profit; or unpaid family workers and apprentices (for family gain or their own gain). Economically Inactive Persons: These include persons who may be at school, retired, incapacitated, keeping house, and/or do not want work although they can work. The person should have been fully in that status throughout the survey period. The employment rate: The number of employed persons as a percentage of the population 15 years of age and over. The rate for a particular group is the number of employed in that age group as a percentage of the population for that group.